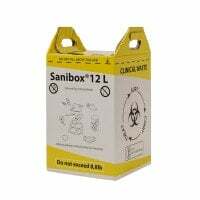 Sharps bins provide secure disposal of used cannulas, syringes or blood lancets and with that, minimise the risk of injury to medical personnel. 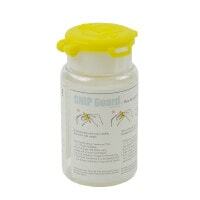 In our online shop, you will find various sharps containers for use in the surgery, hospital or lab. For safe disposal of cannulas, etc. 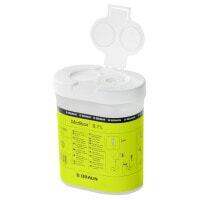 Sharps bins, also known as sharps disposal bins or sharps containers, are used in the surgery, naturapothy practice and hospital for safe and hygienic disposal of used cannulas, scalpals, blood lancets, pipette tips and single-use instruments. 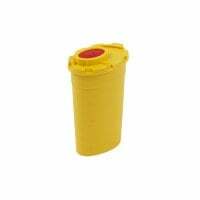 The disposal bins are made of non-penetrable plastic to prevent the the tips and sharp edges from puncturing the walls and injuring the personnel. 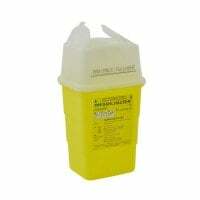 The lids on sharps bins are most often equipped with removal strips, so that the cannulas can be removed from the syringes without ever touching them. This greatly decreases the risk of injury. 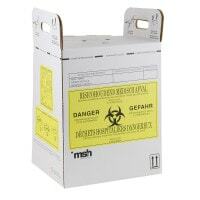 Sharps bins are available with differing volumes. 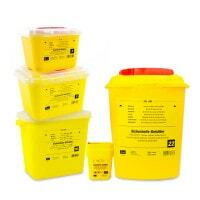 While small bins are liklier to be used for disposing of cannulas on house calls, the larger sharps bins come into use when discarding used, disposable instruments and scalpals. 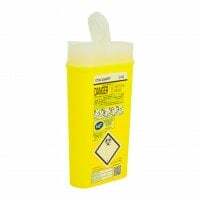 Once the sharps container is completely full, it is important to seal it, so that it cannot be accidentally reopened. 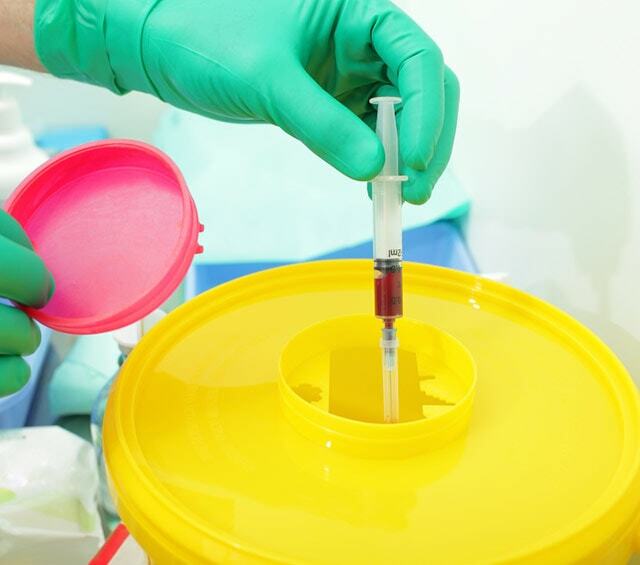 Only by doing so can the risk of needlestick injuries be eliminated after disposal. 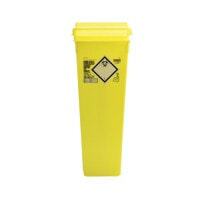 Discarding your sharps bin should take place in accordance with your current requirements. In our online shop, we supply you with a wide array of high-quality, disposal bins in different sizes and at great prices. 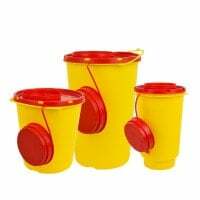 With the purchase of larger quantities, we will additionally reward you with an attractive bulk discount on all of our sharps bins and sharps containers.